FiLTHMiLK amalgamates classical Hindustani and western classical elements together with urban hip hop, industrial, punk and metal for a distinctive sound. Hypnotic cello arrangements compliment and counterbalance the sitar raga, MPC talas, and analog synthesizers to create an unworldly cinematic aural experience. It's raw, energetic, and strangely danceable. This is the music that will bring robots and humans together for a brief moment of joy before the total annihilation of everything. Defying categorization and languishing in obscurity, FiLTHMiLK has for 17 years been expanding the bounderies of music. FiLTHMiLK began performing and recording in 1998 by erich, with nick and dan then olivier later caitlin, michelle, scott, derren, ben josh, manuel, anthony, radha, robbie, alesha, brandon(s), marc, andrew, one-ill ... and now with colleen on cello and synthesizers, they're like the kim and thurston of mekpunk. Over the years FiLTHMiLK has collaborated with many artists and groups including Survival Research Laboratories, Pigface, 5lowershop, SPAZ, Headless State, Over Door Head Traction Ensemble, 75 million Changs, Helicoptor Flood Mouth, and Art Fiala. FiLTHMiLK is currently undertaking commissions for film scores. Composer and woodwind multi-instrumentalist Sheldon Brown has been involved in the San Francisco Bay Area creative music scene for over 20 years. In June of 2014 he premiered his extended composition "Blood of the Air" at the 32nd Annual San Francisco Jazz Festival. Based on the speech melodies of Beat-era Surrealist poet Philip Lamantia, "Blood of the Air"was made possible with the help of Chamber Music America's 2013 New Jazz Works: Commissioning and Ensemble program (funded by the Doris Duke Charitable Foundation), and with additional support from San Francisco Friends of Chamber Music. 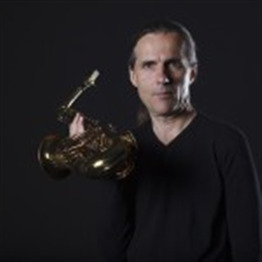 Since 1994 he has led Sheldon Brown Group, which performs his own compositions, and he recently formed Sheldon Brown Quintet, which performs the music of Herbie Nichols, and Distant Intervals, based on poetic speech melodies. Sheldon Brown Group has performed several times at Yoshiʼs and as part of the San Francisco Jazz Festivalʼs Summer in the City series. Brown has performed internationally as a featured soloist with Cuban pianist Omar Sosa, and recorded on 5 of Sosaʼs albums. While with Sosa he performed at many famous venues, such as The North Sea Jazz Festival in Den Haag, New Morning in Paris, Tribute to the Love Generation in Tokyo and many others. As a composer, Brown has written music for his own groups and many of the other groups he performs with. For Club Foot Orchestra he composed music for the silent ﬁlms, Metropolis, Sherlock Jr., Pandoraʼs Box, and The Hands of Orlac. He also wrote music for Club Footʼs scores for the cartoon series The Twisted Tales of Felix the Cat, which aired on CBS.